For continuous maintenance of fur side of sheepskin / lambskin clothing and other items. Not recommended for use on fur with extremely dry skin or extra tough stains such as makeup, lipstick, sweat stains, etc. 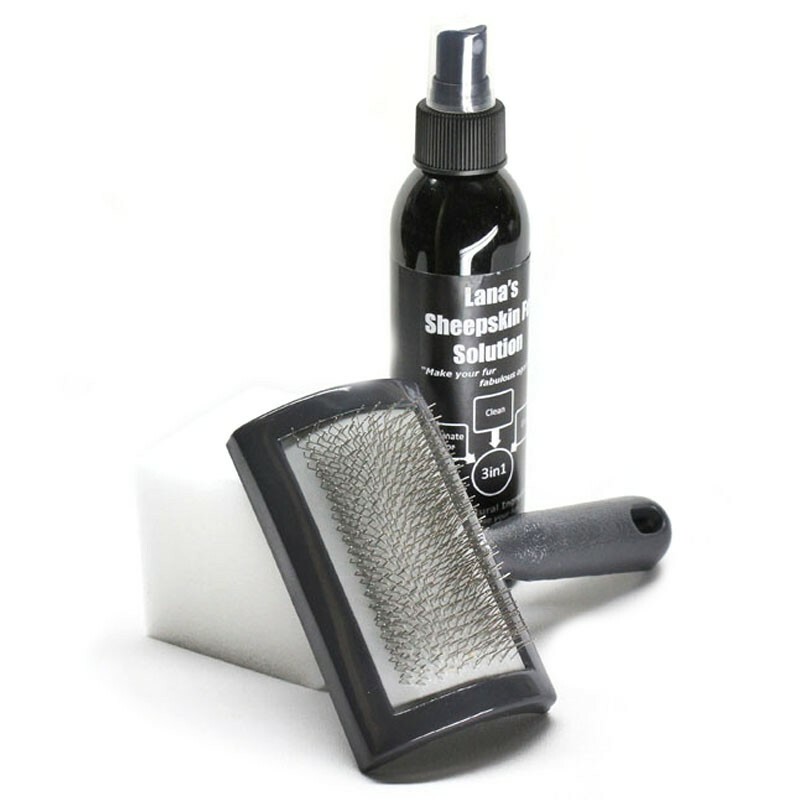 The Sheep Fur Care Kit contains a cleaning solution and all necessary tools to clean, glaze and deodorize your valuable sheepskin fur clothing and accessories. The solution work well on fur side of sheepskin / lambskin jackets, rugs, seat covers, etc. This is a cleaning process that has been used in our family for over a century. Now we are able to bring you an ancient Russian fur cleansing recipe so that you can show the love your fur deserves. It’s easy to use and great gift idea! The cleaning process should involve Lana’s: Sheep Fur Cleaning Solution, Fur Brush, and a Fur Pad. For the complete direction please click here to follow our 6 easy steps for fabulous results.